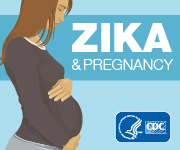 NEW: This report provides information on six confirmed and probable cases of sexual transmission of Zika virus from male travelers to female nontravelers. Thirteen people infected with the outbreak strain of Salmonella Muenchen have been reported from four states. From January 2009 to January 2016, the FDA received more than 1,000 medical device reports (MDRs) associated with the slippage or movement of a skull clamp before and/or during surgical procedures, resulting in more than 700 injuries.